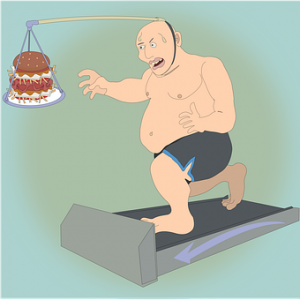 Number 2 on the list of major health issues of the National Health and Medical Research Council of Australia is Obesity. Here is some very important information for those who are concerned about their health and weight. We all know people who would choose an artificial sweetener in preference to sugar in the belief that it is better for them. There is a body of opinion that artificial sweeteners do not present the health benefits that are implied. I have been reading for many years that saccharin and it analogues are a neurotoxin. More recently I have read that artificial sweeteners have been linked to weight gain, rather than weight loss. 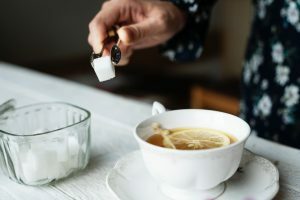 Recent research articles published in Nature, have revealed a mechanism that would explain why the use of sucralose/aspartame and other artificial sweeteners have been observed to cause weight gain. The Gut flora is very powerful in its effect on the whole body. The Gut flora is 10 times more numerous than the cells in our body. There is new evidence that the gut microbiotica actually influence the DNA expression of the cells of the gut lining. They can actually alter the genes of the cells in the intestines. The varieties of gut bugs in your digestive tract is a “lock and key” relationship with the foods we eat. A widely varied pantry will lead to more varied population of gut bacteria. The article in Nature explained in detail how the composition of the gut bugs in humans changed in as little as 7 days and glucose tolerance was reduced, leading to high blood sugar. The mice study was replicated in a large human group of 381 non diabetic individuals, 44% males and 56% females. The blood work testing showed that there was significant correlations between increased trunk girth – central obesity and non calorific sweetener ( NAS ) consumption; higher fasting blood glucose; higher glycosylated haemoglobin ( HbA1C%); poor glucose tolerance testing; and elevated serum alanine aminotransferase ( ALT ) which is a measure of liver stress or damage. The study did a one week trial with a small group of 7 healthy volunteers aged 28-36 who do not normally consume artificial sweeteners directly or in foods containing them. They consumed the maximum daily allowance recommended by the FDA. That is 5gm per kg of body weight. The dose was divided into 3 equal amounts and their glucose tolerance was monitored daily. The testing period was just 7 days, and after 4 days four of the seven individuals developed significantly poorer glycaemic responses compared to their own response in days 1-4. We will notice that in advertising foods with artificial sweeteners there is no health benefit claimed, it merely states that there is no sugar. You are left to infer that it is therefore healthy. The actors in the ads are all young and beautiful and active, or for the drinks directed at men, very physically active doing extraordinary physical things. Like the cigarette industry previously they sponsor sports that will be followed by their target market. There is a significant body of evidence that confirms that there are many adverse effects of NAS in the human physiology. Research recorded effects that include neurotoxicity, carcinogenicity and an addictive factor. We know that sugar is not good for our health, however, the answer may be to shift our palate to less sweet foods, rather than swap high sugar intake for the artificial sweetness of a chemical.